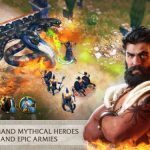 A few days ago, we featured Aegis Interactive’s Gods of Olympus, an iOS game for iPhone and iPad that allows you to command the Gods of Olympus as they battle through ancient Greece against fortified cities and hundreds of combat units. 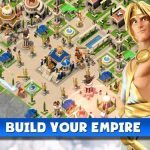 This is an awesome game with a whole lot of city building involved in it, and its main differentiating factor is the ability for you to control ancient Greek gods and goddesses, including Zeus, Athena, Aphrodite, Apollo, and many others, with more gods to be added soon. Another reason why this game stands out is Aegis’ promise that all new buildings and upgrades to existing ones are completed right away, with no waiting at all required. 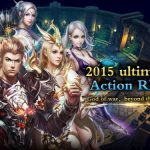 In this game, gems are your premium currency – that isn’t any different from what you would usually get in other similar titles, but you might be wondering how to get more of them. Fear not, as this new Gods of Olympus guide will talk you through the different ways you can add to your gems, preferably without requiring you to spend any money. You can open your achievements list by tapping on the side bar to open it. There are three tiers of achievements, and completing more of the same achievement will progressively add to the gems you can earn, starting with ten, then 20, then 30. Keep on completing those achievements and you’ll have a healthy supply of gems before you know it; achievements are usually completed as you naturally progress through the game, so don’t force the issue too much. The fountain is one of the first buildings you’ll be able to set up, and it’s a building that specifically focuses on the creation of gems. You’ll get one gem per ten hours, which essentially equates to 2.4 gems per day, and while that might sound like a punishingly slow pace, you can collect those gems from the fountain and watch them add up. You will also unlock more gem-making buildings as you keep on leveling up, so focus on those buildings too if you want to earn gems faster. Also, make sure you regularly check up on your buildings to be sure gems are always in production! Collect completed gems and set up requests to make new ones once you’ve redeemed the finished products. Your nectar serves as your energy measure in the game, and since it naturally refills in a couple of hours’ time, you can go crazy with it as long as you’ve got some available. Even if you do lose against an opponent, you’ll still get some rewards (gold, gems, etc.) based on the damage you were able to deal out. Use that nectar and make your attacks count. And when attacking other players by using this nectar, you’ll earn better rewards if you beat a better player. Search for opponents and choose Hard difficulty; the more powerful your opponent’s base is, the more XP you’ll earn for winning the battle. And since leveling up gives you about two gems or so, it’s a good idea to pick more difficult opponents. Just don’t forget to level your gods up ahead of these harder battles. 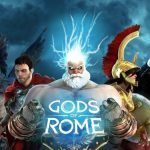 This is our list of Gods of Olympus tips for earning more gems. In case you know more hints for the game, don’t hesitate to let us know!